The population of orcas living off the coast of the US are known as the Southern Residents and they are endangered as there are only 74 individuals left in the world. These orcas feed on Chinook salmon. Because this fish has decreased in numbers, these orcas are struggling and suffering due to lack of food. This week, a few eagle-eyed whale watchers thought they saw a particularly small orca swimming amongst the others. 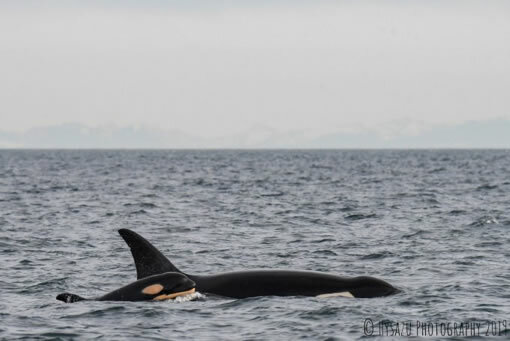 Now we know for sure that there is indeed a brand new baby orca. We don’t yet know if it’s a boy or a girl, but the baby’s mother is called Matia and she is 31-years-old and a member of L pod. This little orca is her third baby and seems to be healthy and energetic. What brilliant news! It is more than three years since the Southern Resident orca community had a surviving orca baby. Researchers believe that two other female orcas are pregnant and so we are hoping that more new born orcas will be spotted soon. It seems that even the orcas themselves are celebrating as members of all three pods have been seen socialising and in close contact with each other. Last Friday afternoon, a very rare ‘superpod’ gathering of Southern Residents was spotted. We hope you enjoy this video of ‘L pod’ of the Southern Residents, including the new baby orca.